After stories about the discontinuation were wrong, all fans of Cadillac sedans can take a deep breath. The company is working hard. For next season, we will see numerous of changes in every segment. One of these modifications is happening to 2019 Cadillac ATS. It is still there and will be for some while. Instead of dropping, it the carmaker will refresh its appearance. Forget the sedan. From now on, the ATS is only a coupe. Some leaked documents confirm this. Due to slow sales of the sedan, it will be dropped. On the other hand, the coupe is among the best-selling vehicles in the class. So, the 2019 Cadillac ATS will come only in this version. Nevertheless, there is a possibility for sedan’s return. However, the company will have to invest a lot in its upgrades to make it a serious contender in the luxury SUV segment full of premium German models. Current Cadillac ATS is offering a four-cylinder and a V-6. Buyers can choose for a while until the company discontinues the larger one. So, the 2019 Cadillac ATS Coupe will use a 2.0-liter drivetrain. The engine allows pairing with either manual or automatic transmission. The first one is a 6-speed, and auto gearbox comes with 8 paces. Nevertheless, manual is available only for rear-wheel drive. With a turbocharger, the four-banger is going to deliver 270 hp and 300 lb-ft of torque. Automatic transmission comes out with better fuel economy. RWD models will return 31 mpg, AWD 30 mpg on the highway. In city drive, both setups are good for 22 mpg. Manual gearbox drops this rate for 2 mpg. Just for the record, larger V-6 is making more power, up to 335 hp. This could be the only reason to keep it in the lineup next year. Some specific features will be available for 2019 Cadillac ATS Coupe. The company is looking to improve further the suspension and brakes. Independent sport suspension and premium steering are making the strong impression of the complete control over the vehicle. Also, the car is getting the new Brembo brakes for more safety, while AWD comes up with better stability and traction. 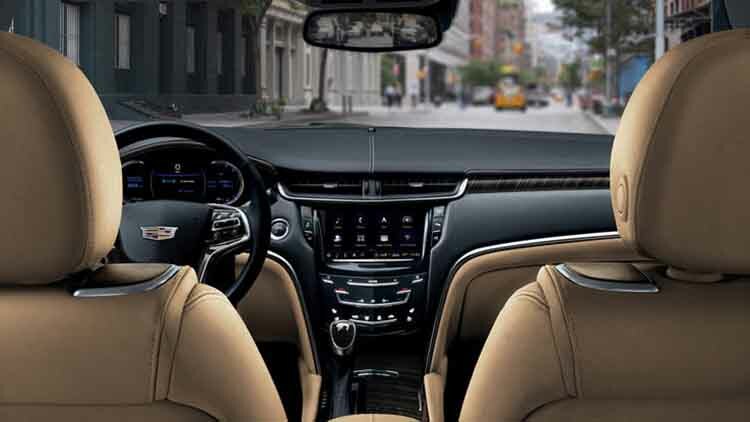 Inside the 2019 Cadillac ATS, we can find a lot of modern features. The premium car is packed with the latest CUE infotainment system. An 8-inch touchscreen display is the highlight of the entire interior. Voice recognition and services for smartphones, Apple CarPlay and Android Auto are standard. The Caddy ATS will offer three USB ports. Satellite radio and Bose sound system are standard. 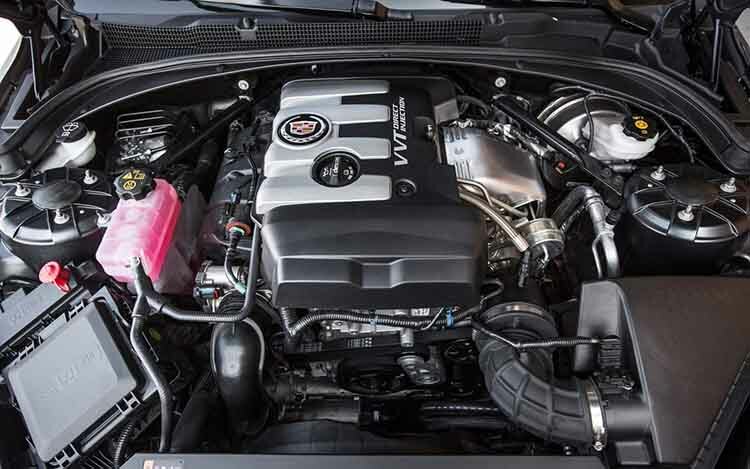 One of the things fans would like to see as an option for 2019 Cadillac ATS is a V-6 engine. We already said it boosts the power output. A 3.6-liter unit is good for 335 hp and 285 pound-feet of torque. However, it was not available before, so it is not likely to see the mill next season under the bonnet of the coupe. Nevertheless, the Cadillac ATS will offer packages of equipment and accessories for various weather conditions. By default, the car is using 18-inch wheels, and 19-inch rims are optional. Exhaust tips, various plates, and spoiler could make the ATS more aggressive. 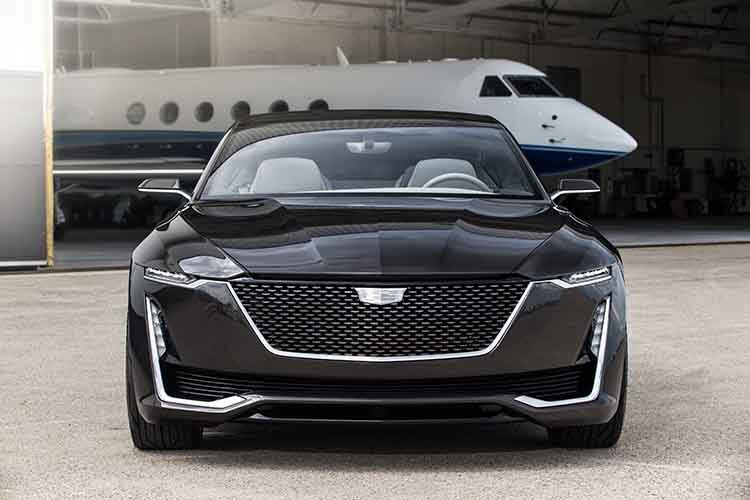 We are still waiting for the official confirmation of 2019 Cadillac ATS Coupe as the sole option for next season. The company will announce it by the end of 2018. Availability of sedan will dictate the price. Current Coupe is the best-selling vehicle in the lineup. It is one of the reasons why the company is cutting the sedan. Good price lured more buyers. The sedan could not keep the pace, and the result is a coupe-only 2019 Cadillac ATS. Well, buyers can always choose CT6 as the flagship model.